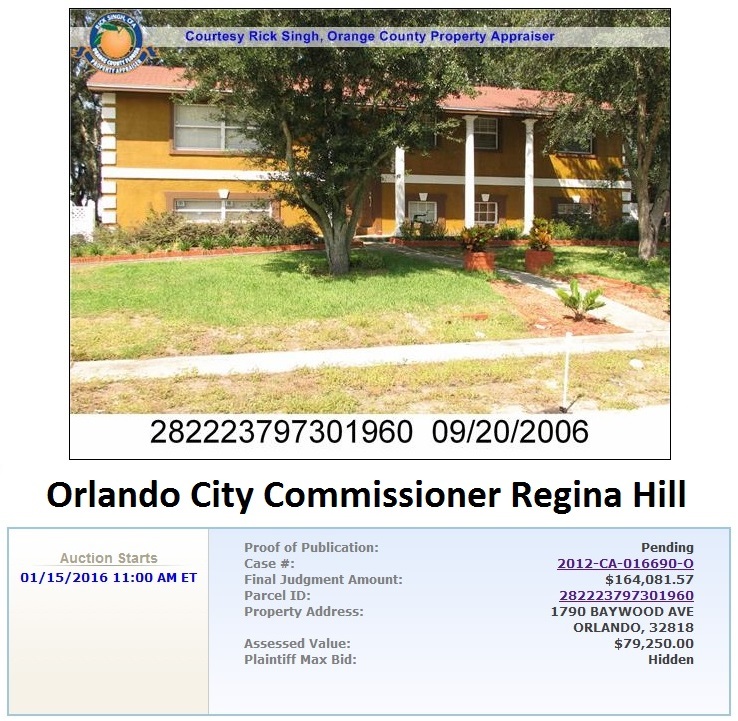 This month, the troubled house owned by Orlando City Commissioner Regina Hill will be sold at auction per a new court order issued just days before Christmas. On December 22nd, the Ninth Judicial Circuit court issued a notice of foreclosure against Hill in an ongoing case. The Commissioner told media last May that she had resolved her foreclosure issues, meaning the latest ruling is another blow to Hill. Commissioner Hill was being sued by U.S. Bank over her 5-bedroom, 3-bath home located at 1790 Baywood Avenue, outside of city limits of Orlando. The Commissioner also claims to rent a property inside the city limits to qualify to serve in her city district. In a non-jury trial on April 22, 2015, the court adjudged that U.S. Bank, as a trustee for GSMPS Mortgage Loan Trust, is due $164,081.57 in the case involving the Baywood property. The Final Judgement from April 22, 2015 summarizes the more than $160,000 in unpaid mortgage, taxes and interest Hill owes on the Baywood Avenue home. Clearly, according to the December 22nd notice, that is not the case. 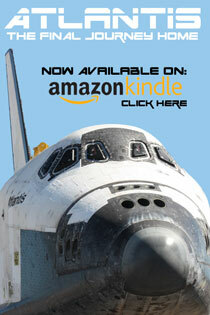 “Notice is hereby given that sale will be made pursuant to an Order or Final Judgement. Final Judgement was awarded on April 22, 2015 in Civil Case No. 48-2012-CA-016690-O, of the Circuit Court of the NINTH Judicial Circuit in and for Orange County, Florida,” the notice of foreclosure against Hill states. The Orange County Clerk of Courts Foreclosure Sales calendar currently lists the Commissioner’s house as going up for sale at public auction on January 15, 2015 at 11 AM. The assessed value is listed as $79,250. The Clerk of Courts site also lists Commissioner Hill’s final judgement amount as $164,081.57. The Orange County Property Appraiser shows Hill purchased the home back in 1997 at a sale price of $67,500 as part of a Housing and Urban Development program. The court declared the plaintiff in the current case against Hill is owed $134,141.71 on the principal and nearly $15,000 in interest between July 2012 and April 2015. Adding up additional taxes and fees, the city commissioner owes the whopping total of $164,081.57. It appears Hill has had a long history of trouble with the property. Earlier this year, a special magistrate found Hill’s Baywood Avenue property had not complied with code inspectors and had repeated violations. 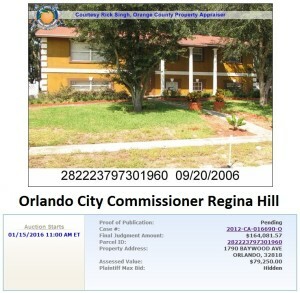 Regina Hill, as owner of the property, owes the county $46,750 in code violation fines. In November, Hill told WFTV she had not paid any of the fines. Last summer, Hill’s Baywood Avenue property was also raided by the Orange County Sheriff’s office and SWAT members. Guns and drugs were found inside the home, and Hill’s son was initially arrested, although all charges were dropped later. Sheriff’s Office PIO Jeff Williamson said the home had been under surveillance for several months and that they “know for a fact” that illegal drug activity was going on inside. The public auction set for January 15th may finally be the end of the road for Commissioner Hill’s ownership of the troubled Baywood Avenue property. One Response to "Commissioner’s House Goes Up for Sale at Public Auction This Month"